This church was only a 20-minute drive away from me when I lived in the parish of St. Ann in Jamaica at the turn of the new millennium. 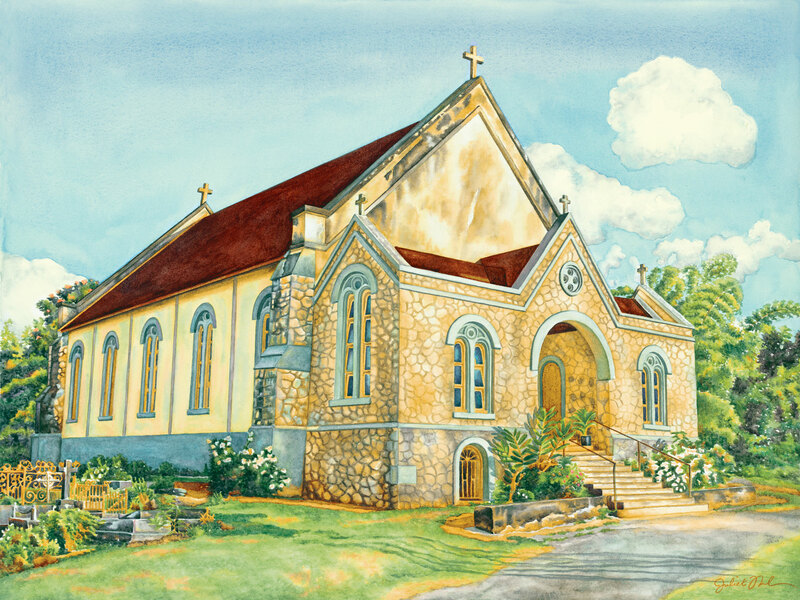 I had always noticed it’s quiet charm and beauty and it therefore became a perfect choice for my historic Jamaican church painting series. The lush foliage surrounding the church enticed me even further to want to paint it. It was a joyful painting! This is a limited edition of 50 giclée prints on watercolor paper. The original painting has not been sold.